The Residence Inn White Plains/Westchester County expertly blends city living with hometown charm for an exceptional experience. Located in the heart of downtown White Plains, a short ride on the Metro North provides easy access to Yankee Stadium and Manhattan. The hotel is equipped with spacious suites designed to make you feel right at home. Along with the distinctive areas for sleeping, eating and working; a full kitchen provides all of the necessities to prepare a home-cooked meal ! Enjoy a complimentary hot breakfast buffet daily and stay productive with complimentary Wireless Internet. Our Evening Social Mix enables you to unwind after a long day with light fare and local offerings. 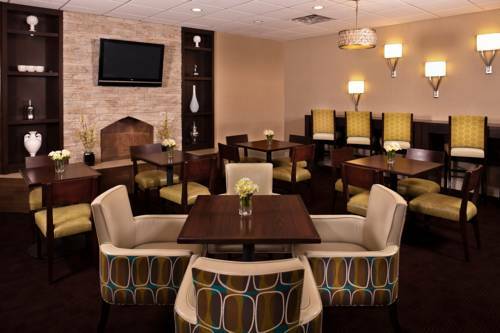 The hotel is conveniently located near numerous corporate headquarters (IBM, Heineken, PepsiCo, MasterCard, Dannon) as well as local colleges/universities(Pace, Mercy, Purchase, Fordham). You'll find plenty of area shopping, dining and entertainment, making Residence Inn White Plains the ideal location to stay.